I'm linking up today with this week's Show and Tell theme at Paper Heart Camera. 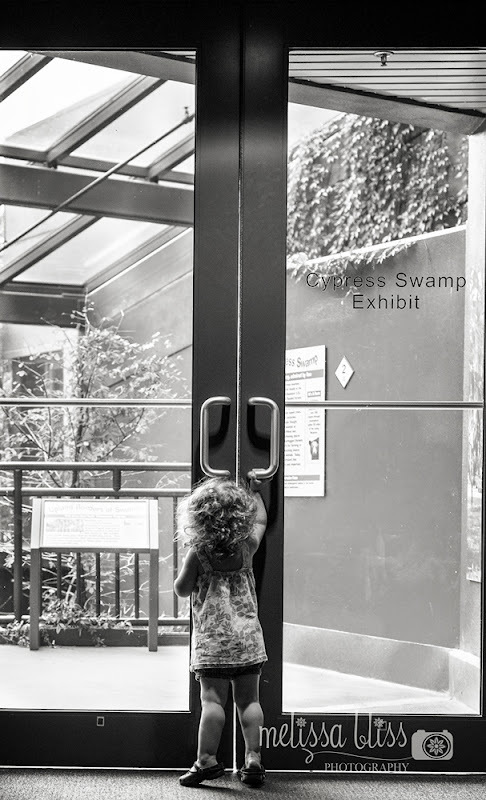 The theme is "center of" and this is a picture I took of Little Miss the other day when we visited one of our favorite museums, The Virginia Living Museum. At two, not only is she the center of our household these days, but I centered my composition here as well. Come link up your photo and join the fun! I love how you can really tell how little she is as she reaches for those door handles! So cute! Oh so adorable!! I love the little legs. Love the black and white here. Her hair is so cute!